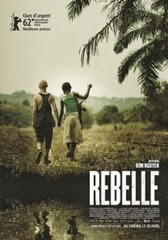 Also titled "Rebelle", "War Witch" (from Canadian director, Kim Nguyen) is the narrative of a twelve year old girl (Komona) who is kidnapped from her village and forced to become a child soldier. Without coming across as didactic, the film presents a world - a violent and brutal world - in which children are forced to adapt (at the expense of their own innocence) in order to survive. 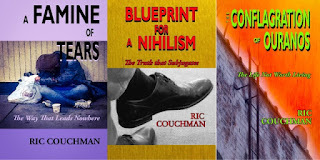 Part of that adaption is the giving over of the self to the imagination. Komona pairs up with Magician, another child soldier, and the two of them attempt to escape the forced, exploitative, and unnatural existence that is thrust upon them. It is during their flight that the more heart-warming aspects and qualities of humanity emerge. The two children become husband and wife after Magician finds the almost impossible-to-find white rooster that Komona requested as the condition of their union. The young couple's respite from violence is short-lived when their kidnappers again appear in their lives. One of the things that I found quite interesting about the film is its presentation of exploitation and violence against the backdrop of an idyllic setting and the ordinariness and simplicity of village life. "War Witch" was nominated for Best Foreign Language Film at the 2013 Academy Awards but lost out to Michael Haneke's "Amour".